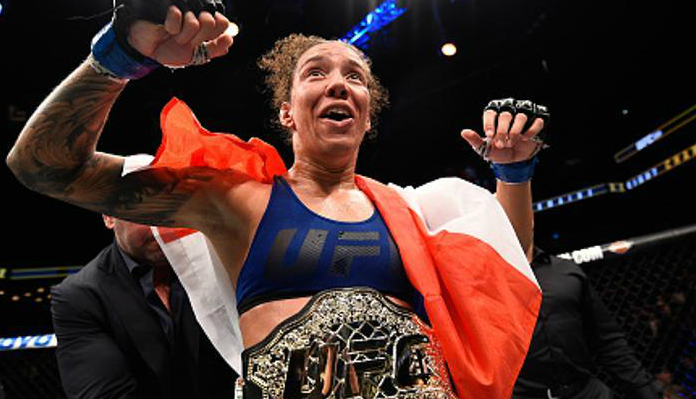 One of the top female strikers in MMA seemingly vanished off the radar after winning her first world title. But now she appears to be ready to return. 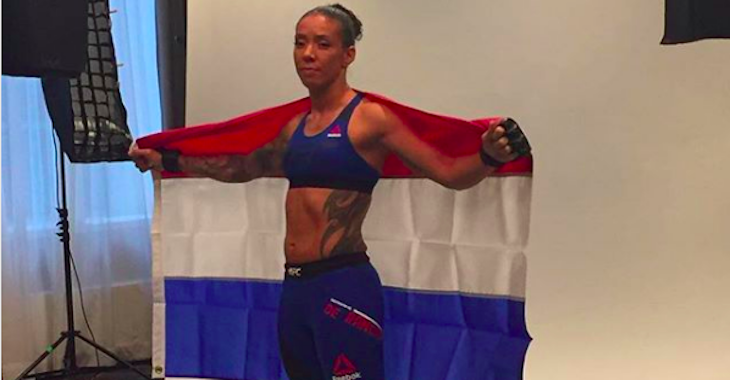 Germaine de Randamie was last seen in a UFC capacity when she was walking out of the Barclays Center in Brooklyn, New York at UFC 208 in February 2017. At UFC 208 she made a bit of UFC history as she became the very first UFC women’s featherweight champion when she defeated the former bantamweight champion Holly Holm by unanimous decision. 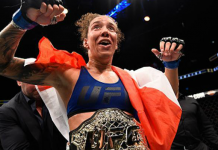 Never losing her title, instead, de Randamie was stripped of it after refusing to defend her title against Cris Cyborg due to Cyborg’s PED use history as well as having a hand injury of her own. 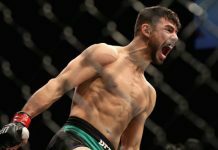 Looking forward to getting back in the @UFC octagon, it’s been to long!! @rockypmma waiting on you let’s do this!! 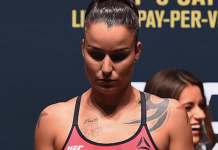 In the tweet, de Randamie specifically calls for a fight with the most recent 135-pound challenger, Raquel Pennington. Prior to de Randamie’s featherweight title opportunity, she was working her way through the bantamweight ranks where she has spent essentially all of her career. Seven of her 10 professional MMA bouts to be exact. In her UFC career, GDR has actually only suffered defeat once and that one time being in her sophomore bout when she fought the now champion of the division, Amanda Nunes. 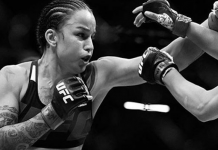 Despite having not fought at bantamweight since May 2016 and having her last fight be at 145-pounds, de Randamie finds herself right in the thick of the UFC’s bantamweight rankings as she sits at No. 5 right now. With Pennington recently mentioning that she would like to rematch Cat Zingano, it will be interesting to see how things shake out in what was once a thriving division.